OLS-ASH stands for Ondergronds Logistiek Systeem Aalsmeer, Schiphol, Hoofddorp. 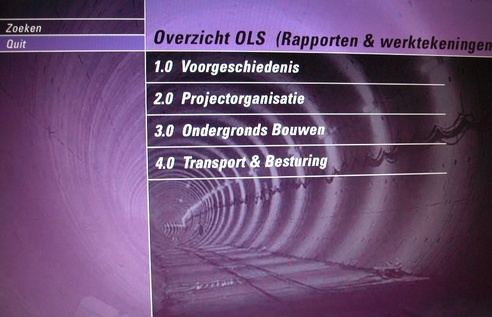 OLS is an innovative underground tube-connection to transport time-critical goods such as fruit, news-papers and flowers between Amsterdam Airport Schiphol, the Bloemenveiling Aalsmeer and a newly to be developed rail terminal in nearby Hoofddorp. Visualspace has been asked by Underground Logistic System Foundation to publish reports and plans.